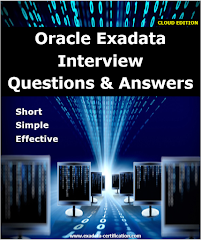 Why Exadata for Oracle Databases? Many time it comes in our mind that why we should go for Exadata, what benefits we can get if we go for Exadata so here we have given some views based on the Exadata architecture, experience and features. This is the most common question in interview. No doubt there can be many more advantages than what we have given below as we have only given high level views. Exadata is high performance and high available pre-configured device. It consists of servers,storage networking and software in single pre-configured box which is massively scalable, secure and redundant. Multiple compression tiers are available on Exadata which can help customer to compress data as per business requirement to save storage space. Implementation time is very less compare to non-Exadata systems as it's comes as pre-configured and pre-tested. In case on any issue with the Exadata than we need to communicate with only single vendor which doesn't required to contact multiple vendor like non-Exadata setup so solution of issue could be done quicker. 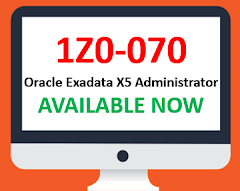 Only DMA (Database Machine Administrator) would be required to manage the Exadata so it can manage with lower TCO which reduce the huge cost of manageability. Exadata provides extreme performance for both DW and OLTP databases which is making it and ideal platform for database consolidation. Today we are facing issue of high I/O on database server which has been reduced on Exadata using smart scan feature which will offload SQL process to the storage server hence only required data would be transferred to the Exadata. Exadata Smart Flash Cache transparently caches hot data to fast solid-state storage, improving query response times and throughput. Exadata's massively parallel grid is ideally suited for consolidating data warehousing and OLTP applications, and Exadata quality-of-service resource management capabilities ensure fast response times for all users. Expandable storage capacity without effecting database services. Exadata is a solution with standard components implemented for many customers which can guarantee maximum availability. Storage Index is used to eliminate the scanning of data which is not required which can improve response times drastically. With the use of IORM we can prioritize the I/Os based on the business criticality and requirement. 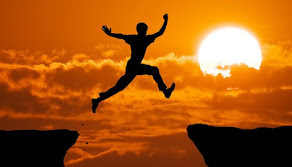 Smart flash cache log is used to write redo data which quicker than the storage disk so we can achieve faster acknowledgement and query response. This is Oracle h/w so we can also get benefit of using ASR which will log a service request automatically if any thing goes wrong in Exadata hardware. It's architecture can support cloud computing. Fault tolerance and no single point of failure. All software installed with standard , tuned and optimized configuration. 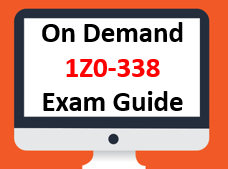 You can follow our Exadata Certification Question Bank to achieve maximum success in your Exadata certification.